need medicines and care just like we humans do. While we ordinary humans know how to take care of our health and whom to go when we fall ill, farmers take it upon themselves to ensure good heath and metabolism of their crops so that we get to consume the best veggies and fruits. Coming in as a helping hand is Agzon Agro, a Pune based company provides reliable and cost effective solutions for the agri-input sector. To aid farmers in plant protection, plant nutrition, and yield enhancement, the 2015 founded organization provides specialty fertilizers, micro nutrient fertilizers, bio fertilizers, bio pesticides, agro chemicals, plant hormones and plant growth regulators. Taking the responsibility to help farmers in ensuring good health for their yield, the company constantly works with its business partners to provide timely guidance and support to farmers to maximize utilization of available resources and increase profitability. 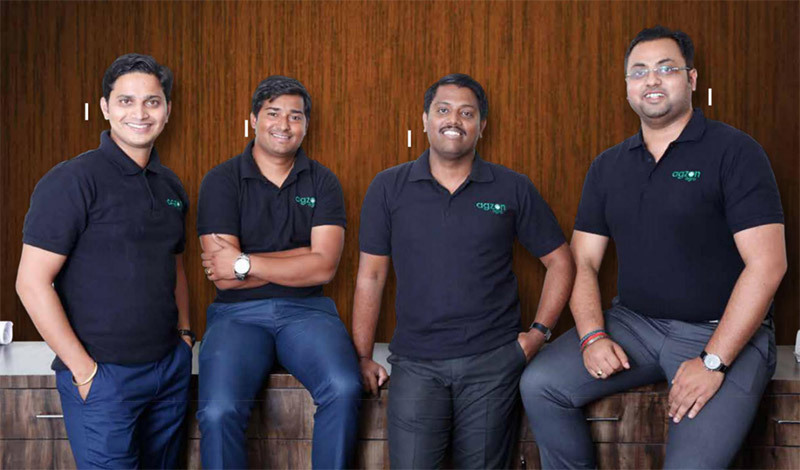 Coming from different backgrounds, Vishal Ratan, Hemant Kalamkar and Binu Joseph first met at the Symbiosis Institute of International business (SIIB), Pune, where they were pursuing MBA in Agribusiness. The college mates soon developed a desire to together start a venture in the Agribusiness sector. 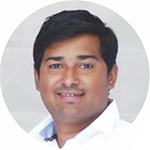 Hemant	Ramhari	Kalamkar is	an	Agriculture	graduate from Govt. College of Agriculture, Kolhapur (MPKV, Rahuri University) and MBA (Agribusiness)from SIIB, Pune. 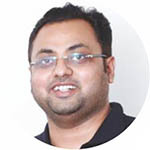 Hemant has over two years of experience in procurement, Channel development, and stakeholder relationship in agro commodities with Premium Farm Fresh Produce Limited in Nasik region. He stated his entrepreneurial venture - Avyukta Fertilizers Private Limited in 2012. The company deals in import and distribution of agri-input products like water soluble fertilizers and micro nutrients. He has rich knowledge of sources of supply, clearance, liasoning and government policies in Agro input imports. Vishal Ratan is an Engineering graduate in Biotechnology from Dr M.G.R University Chennai, and MBA Agribusiness) from the Symbiosis Institute of International Business(SIIB), Pune. Over a short career of about 7 years, he has gained significant experience working with different agriinputs Multinational corporations. He has worked in both sales and marketing departments developing a unique commercial acumen with a core leadership drive. He has an exposure to all forms of agriinputs business such as Hybrid Field Crop Seeds, Hybrid Vegetable Seeds and Crop Protection. 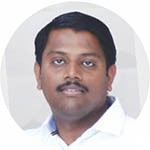 Binu obtained	his	Fisheries degree	from	Kerala	Agriculture University in 2003. 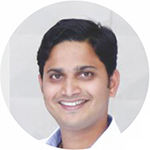 He further pursued MBA in Agribusiness from SIIB, Pune in 2011. He brings an extensive experience of more than 12 years of working with multinational organizations in India and Africa. He also has experience in sourcing and trading of fish, meat, and Cashew products in the West African region (Cameroon) with Triton Group. Ranjit Vasudev Kalamkar completed graduate in the field of Food Technology from MCFT, Karad in 2014. After graduation, he worked with Avyukta Fertilizers, where he was handling the warehouse and supply chain systems. His expertise in stock management, warehouse management and timely supply of products to customers with the company was immense. In addition to this, he was also taking care of all operations of restaurant called Raasta Cafe, Baner right from construction, setting up of equipments, hiring of staff, digital marketing and brand promotion respectively. As Chief Logistic Officer at Agzon Agro Ranjit takes care of all supply chain operations.